SDM provides precise dimensional gauging systems for inspecting parts such as axles, shafts, brake shoes, rings, and automotive spindles. Using the latest technology in laser, vision, and digital contact probes, these production systems provide accuracy and repeatability and statistical feedback to your production machines. A gauge with compensation feedback. 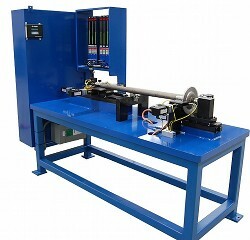 This robot-loaded machine measures the flange diameter, thickness, overall length, spline diameter, and journal diameter of a variety of different parts. 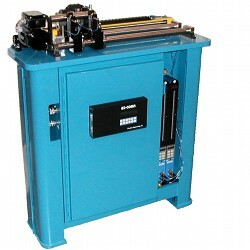 All measurement axes are servo-controlled so no mastering is required as the operator changes from part to part. 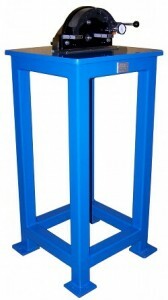 The results are displayed and feedback is provided to compensate the turning machines. This hand-loaded manual gauge measures five different parameters of a machined automotive spindle to assure accurate machining. This manual gauge checks the geometry of a variety of brake shoes. 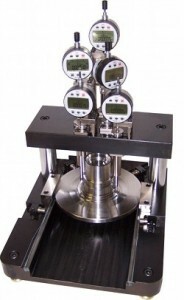 This dimensional gauge measures the diameter of shafts in two places to verify OD and taper. Feedback is provided to compensate the production machine. 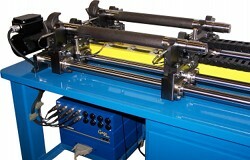 The machine adjusts to handle different length shafts. This two station gauge checks journal diameters on cams in two locations. The gauge adjusts for length and journal position. Compensation feedback is provided to the two turning centers producing the parts. At Salem Design & Manufacturing, we’ve built a foundation of quality craftsmanship by placing a premium on exceptional service. It’s an inner strength and outward focus that makes Salem NDT the smart choice. Built to last, designed to stand out, and backed by a customer-first culture.